I have a love-hate relationship with Hiroshima city’s illuminations. Other than the big blue Christmas Tree they area a triumph of tack over taste and the convoluted backstory makes you shake your head in disbelief. On the other hand, they really do pull in the crowds and my own kids love them. Throngs of people screaming “kirei!”, kids running in and out of the sculptures festooned with well over a million LEDs and the constant flash of cameras does make for a nice atmosphere – so see you down there and let us know what you what you think in the comments blow. 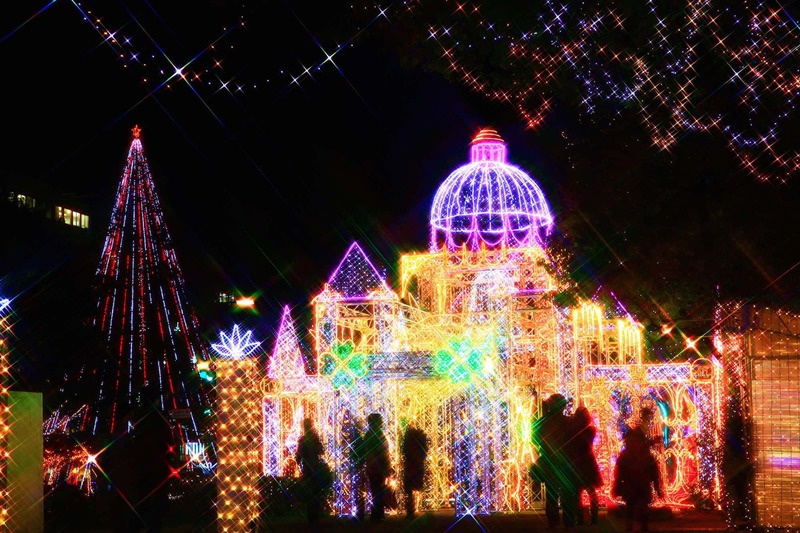 The Hiroshima Dreamination illuminations usually run from mid-November to January 3.